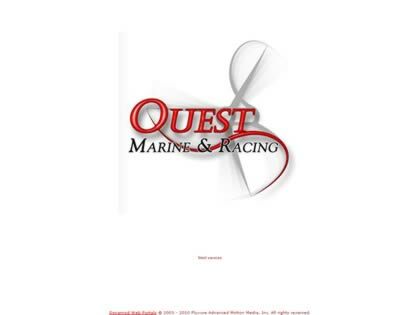 Top : Boatbuilders : Quest Marine Inc. Custom Boatbuilders with 65+years expierence between this father and son team. "We build in wood\epoxy, wood\composite, or all composite(inc. Vac.Bagged carbon\kevlar Parts). We can do line drawings for hulls & decks to build your boat from the drawing board up. Capable of building class A Tooling for your production molds to be built on which we can finish to any stage of your choice up to building the first boat." Description: Custom Boatbuilders with 65+years expierence between this father and son team. "We build in wood\epoxy, wood\composite, or all composite(inc. Vac.Bagged carbon\kevlar Parts). We can do line drawings for hulls & decks to build your boat from the drawing board up. Capable of building class A Tooling for your production molds to be built on which we can finish to any stage of your choice up to building the first boat."